Doctors Without Borders (MSF) has expressed concern in a statement over the condition of 81 migrants who were forced to get off the Nivin vessel. The organization said no official information has been provided on their wellbeing. 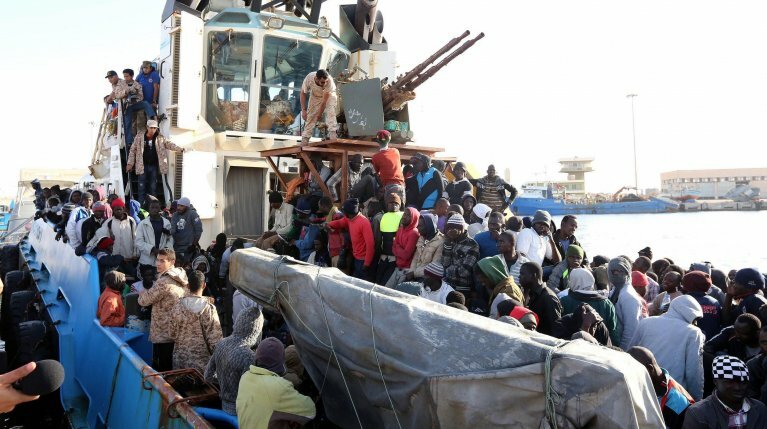 Doctors Without Borders is ''extremely concerned'' by the lack of official information on the health condition of 81 migrants who were forced to get off the Nivin ship in Misrata by Libyan officials. The migrants included over 20 minors, trafficking victims or torture survivors, including some who have already been registered by the UNHCR. For 10 days a team of Doctors Without Borders on the ground assisted the migrants. However, the medical personnel could not provide assistance anymore after the landing. The 97 people who were initially aboard the vessel, the organization said, should not have returned to Misrata. Instead, they should have been transferred to a safe port, as provided for by international and maritime laws, as Libya cannot be considered a safe place, the NGO noted. Doctors Without Borders, between November 11 and 18, carried out some 90 medical visits on board, the organization said. On November 14, 14 vulnerable people left the boat to be taken to an official detention center. The rest of the group continued to refuse to land in Libya for fear of being arbitrarily detained and other dangers already experienced during their stay in the country. MSF said it was ''disconcerted in learning that, after 10 days, in spite of its repeated appeals to avoid a violent solution, no compromise was reached for a conclusion other than detention." What happened shows ''once again the inability to provide the necessary protection to people looking for security. Today's reality is that for people intercepted at sea and taken back to the coasts of Libya, in violation of international law and maritime conventions, there are no options other than arbitrary detention," MSF said. ''This tragic situation is the result of deliberate and concerted efforts by Europe to prevent at all cost for refugees, migrants and asylum seekers to reach its doors. In Italy - the organization added - both refugees and those assisting them are criminalized while prosecutors in Catania have asked for the Aquarius ship to be seized over alleged irregularities in the disposal of waste on board."